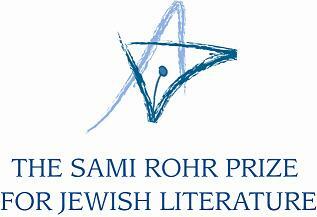 Carolyn Starman Hessel, the executive director of the Jewish Book Council Sami Rohr Prize for Jewish Literature notified five authors on April 1 that they will each be recognized as a Fellow competing for a $100,000 prize to support their writing. The five finalists for fiction this year take readers on a world tour of Jewish life: Rachel Kadish, author of “The Weight of Ink”; Michael David Lukas, author of “The Last Watchman of Cairo”; Dalia Rosenfeld, author of “The Words We Think We Know”; Mark Sarvas, author of “Memento Park”; and Margot Singer, author of “Underground Fugue.” Read the full article at Jewish Journal. Memento Park was our March 2018 Book of the Month. Mark will be speaking at the Beverly Hills Public Library on May 1 and his book is the May selection for the Friends of Beverly Hills Public Library’s Book Discussion Group.